Bihar Chief Minister Nitish Kumar on 6 November batted for reservation in the private sector. He also said that there should be a debate on this issue at the national level. "It's my opinion that there must be reservation in the private sector too. 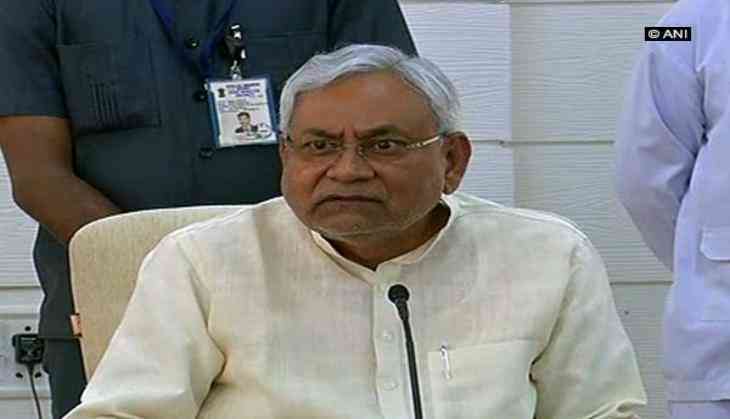 There must be a debate on this at the national level," Nitish said at a press conference here. Presently, the Scheduled Castes (SCs), Scheduled Tribes (STs), Other Backward Class (OBCs) and physically handicapped persons are entitled to reservation in educational institutions and government jobs. Last week, the Bihar cabinet approved a proposal to bring outsourced government jobs within the ambit of reservation. This is not first time that Nitish has demanded reservation in the private sector. On April 9 last year, he not only demanded increasing the reservation quota in jobs beyond 50 per cent, but also advocated extending the facility in the private sector. The chief minister also criticised people opposing the Goods and Services Tax (GST). "People opposing the GST must be asked when was it proposed. First VAT (value added tax) was introduced and now the GST is implemented. Therefore, transition takes time and there is no point opposing it," Nitish said. The GST is an indirect tax which was introduced in India on July 1, 2017 and is applicable throughout India which replaced multiple cascading taxes levied by the central and state governments. He also took a dig at the critics by saying that those who are crying hoarse are actually involved in illegal trade. "Everybody knows who has relations with liquor and sand mafia. Let people speak whatever they want but all our decisions are in the interest of Bihar. Serving Bihar is serving nation for me," Nitish claimed. He said that development is being done in the every sector in Bihar and "now we are indulged in social reform". The chief minister also said his government didn't try to hide any scam. "Our officials have uncovered toilet and Bhagalpur NGO scams. It's very unfortunate that instead of appreciation, we are being criticised," Nitish said. The Rashtriya Janata Dal (RJD) supremo Lalu Prasad Yadav has demanded a probe into the alleged scam and claimed that a proper investigation would find the quantum of the fraud to be hundreds of crores of rupees.